Your teeth will love you forever. 1. A copy of The Braces Journal so you can keep a detailed log of your amazing life with them. Get it from Amazon for $1.89. 2. A high-pressure cordless water flosser to effectively remove plaque, tartar, and food that may get trapped in and around your brackets. 3. 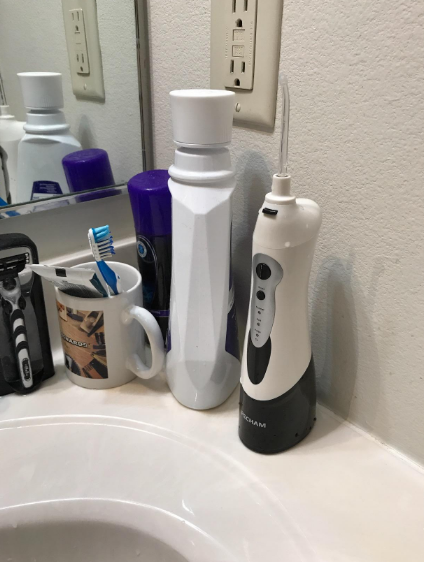 Or drop a few more dollars on a Philips Sonicare electric toothbrush that'll help remove particles your manual toothbrush may leave behind — which is key to preventing gum disease. Get it from Amazon for $24.97 (available in two colors). 4. A bottle of OrthoFoam braces cleaner with a hydrogen peroxide formula to keep your braces clean and whiten your teeth. You can also rinse out your mouth with OrthoFoam when you need to freshen your mouth while on the go. Get a two-pack from Amazon from $49.99 . 5. A pack of braces wax so you can block your wires from scraping the inside of your mouth — and making your day beyond dramatic. Get a 10-pack from Amazon for $10.25. 6. A pack of soft toothbrushes to clean your teeth and tongue while avoiding the trauma that can be caused by hard-bristle brushes. Get the four-pack from Amazon for $8.97. 7. 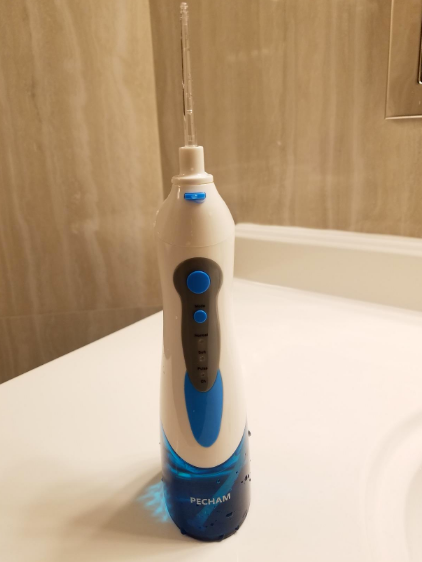 A multifunctional countertop flosser that’s waterproof and comes with a pressure controller and tips for tongue cleaning and other tasks. Get it from Amazon $39.95. 8. A copy of the book Smile — which is loved by braces wearers of all ages — for an entertaining read about Raina Telgemeir’s journey with braces. Get it from Amazon for $6.70+ (available on Kindle, Paperback, and Hardcover). 9. A mini dental kit to make sure your teeth and brackets are squeaky clean no matter where you are — especially during the workday or while traveling. Get the three-piece kit from Amazon for $5.86. 10. 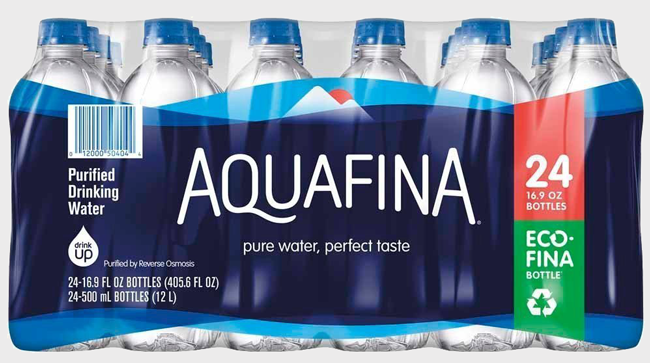 A sturdy CamelBak bottle or pack of water because H20 is a healthier drink option than juices, sports drinks, and sodas — which are packed with sugar that can lead to tooth decay. 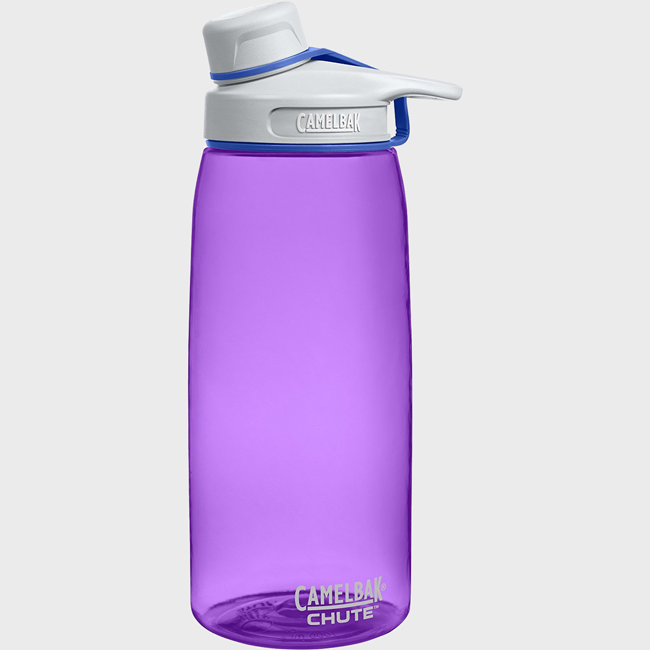 Get them from Amazon: CamelBak 1L water bottle for $10.52+ (available in eight colors) and Aquafina 24-pack for $20.77. 11. A pack of flexible straws in case you cave in to your sparkling water cravings — because sometimes you need a little fizziness in life. Get a 100-pack from Amazon for $6.99. And make sure to rinse your mouth out with water after drinking any carbonated beverages to prevent the acid in the drink from breaking down tooth enamel. 12. A tube of Jack Black lip balm to keep your pout moisturized — especially after your orthodontist appointments. Get it from Amazon for $10 (available in four scents). 13. A bottle of alcohol-free ACT Braces Care Mouthwash for a soothing rinse that’ll provide extra fluoride protection, prevent cavities and white spots, and loosen food particles. Get it from Amazon for $8.65. 14. A dental guard to protect your teeth from grinding while you are sleeping. Get a two-pack from Amazon for $9.71. 15. A pack of flossers you can easily store in your purse or backpack for any stuck-food emergencies. Get two packs of 24 flossers from Amazon for $8.48. 16. A copy of The Braces Cookbook to trade your go-to meals for some tasty new options. Get it from Amazon for $3.99+ (available on Kindle and Spiral-Bound). 17. And an Amazon Prime subscription so you can watch every single episode of Braceface — because no one understands the joys and struggles of braces like Sharon. As part of Amazon Prime, you can subscribe to CONtv or Dove Channel — both of which have Braceface included in their TV show lineups. You can also buy episodes of Braceface for $1.99 each or the full seasons for $41.99 each. Now let the braces GREATNESS continue.